Whitehall & Rose: Happy Halloween! Today is the last day of #blogtober! Can't believe it. I'm also linking up with April, Christina, Darci, and Natasha for Five on Friday which I'm so, so excited about. Today's blogtober prompt is a costume reveal and before 11pm last night I didn't have one to reveal because I had planned on staying home, eating passing out candy to children, while wearing elastic pants. But, my boyfriend's sister-in-law (who I usually refer to as my sister-in-law because it's easier than saying my boyfriend's brother's wife and also because she's my soulmate) invited us to come over to their house tonight for a little party. So, very last minute by boyfriend and I decided to go as army people, despite my being so not rugged or army-like, because it would be easy. I get to wear my leggings, v-neck, and my army green jacket, which incidentally is my go-to fall look anyway, (also some smudged black face paint and $1 store accessories) and he gets to get decked out in camo which I know he's pumped for. 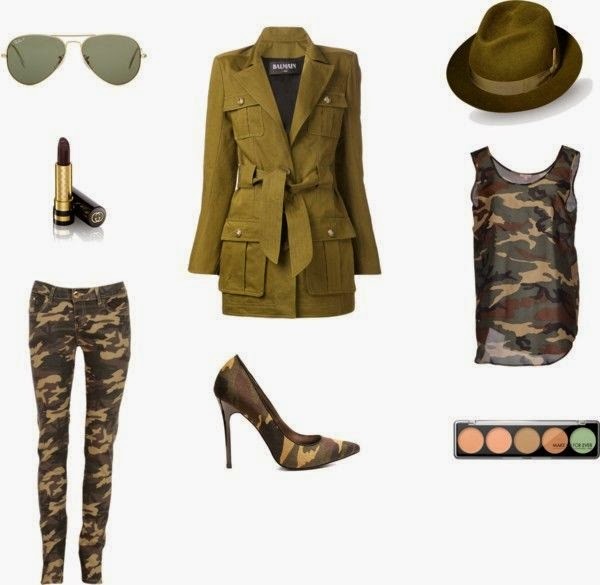 But with less camo because who needs that much camo in their life? Definitely rocking a dark lip because everyone needs that in their life. These two candles from Bath & Body Works. As of late, I'm obsessed with their candles and picked these up when they had their 2 for $22 sale. I used up flannel first and loved it. It's a masculine, musky scent that's warm and inviting. I loved lighting it in the beginning of the fall season because it definitely got me in the spirit. I just broke out the autumn candle this week and love this one as well. It's a crisper, apple-y scent that's very clean but still festive. Love, love, love. Nothing like lighting a candle after a long day. Fall dates with my guy. Especially ones that include carving pumpkins (or watching him carve the pumpkin since I'm no good) and cheese fries. 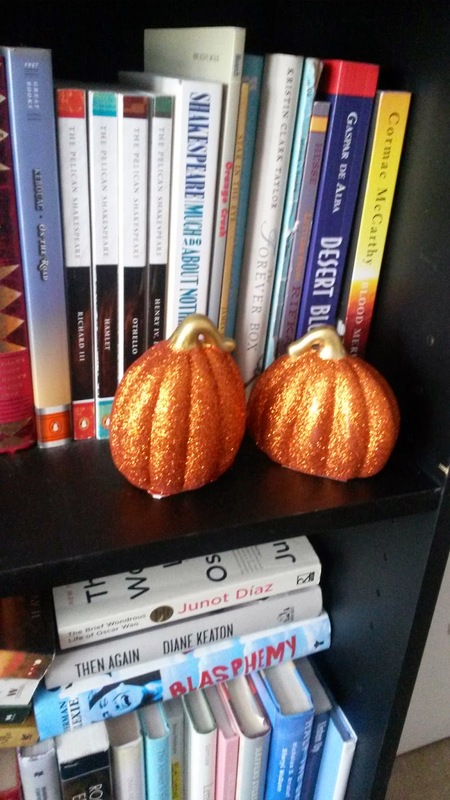 These adorable glitter pumpkins (from the dollar store!!!) that are sitting cute on my bookshelf. 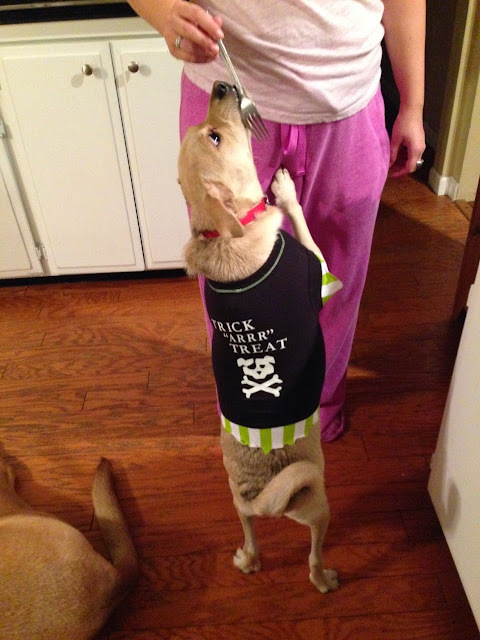 This guy as a pirate. I had to hold the fork like that so he would stay still.... also excuse the VS sweats. But don't excuse them because I make no apologies for clothes that feel like a dream. He is miserable. But the sleeves. My fav. My birthday is this weekend so I'm kinda excited for that ;) You can read my birthday wishlist post here if you'd like. Here's to celebrating Halloween, fall, and turning twenty-three this weekend with lots of good food & my favorite people. So glad to have participated in #blogtober14. Thanks again to Taylor & Helene for hosting! & be sure to link up for Five on Friday! Hope everyone has a safe Halloween and an awesome weekend! 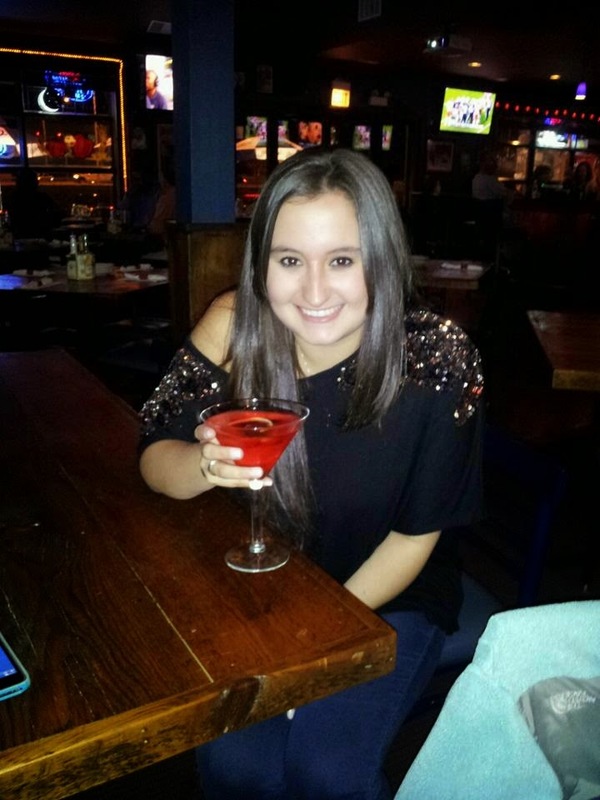 hope you had a great birthday and can't wait to see the outfit! Happy belated birthday! 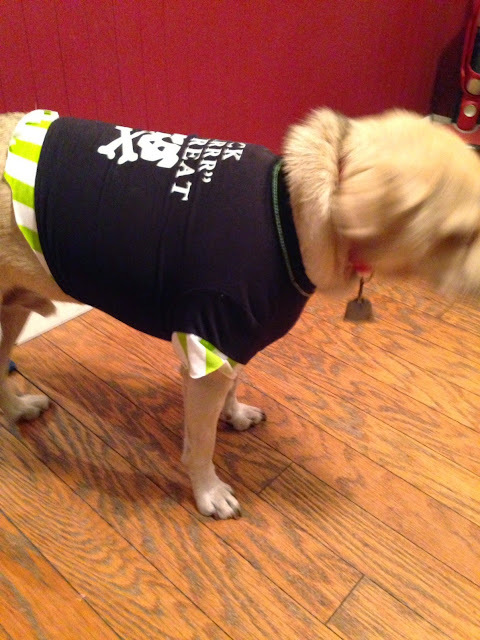 Love your little guy in his costume! 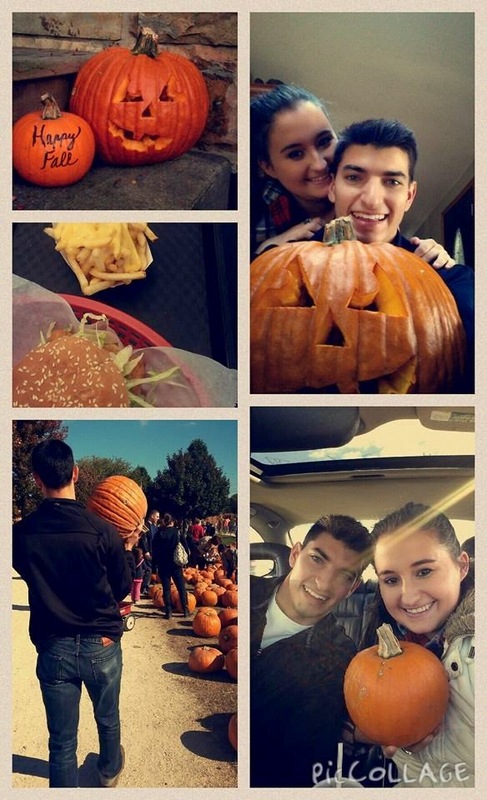 I'm also very jealous of your pumpkin date, we didn't do anything like that this year and I am sorely missing it! Thank you so much! He absolutely hated us for that costume but he was pretty cute ;) & thank you, it was definitely one of our favorite dates thus far. Thank you very much! It was definitely a fun, relaxing evening. I'm trying to get my weekend recap posted!